Material list for basement only. 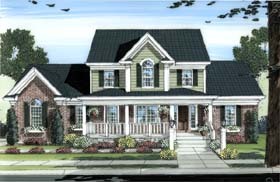 A large front porch and a brick and siding exterior decorate this two-story home with first floor Master Bedroom. A three car side entry Garage, 9' ceiling height, Formal and Informal Dining, two-story Foyer, Kitchen with island seating and Great Room with gas fireplace create a beautiful sanctuary for all family members. The master suite pampers the homeowner with a whirlpool tub, shower, double bowl vanity and large walk-in closet. A raised center ceiling adds dimension to the homeowners retreat. The second floor offers a balcony that overlooks the Great Room and an optional loft/bedroom that would overlook the Foyer. An attic space above the garage offers an abundance of storage. Question: Hello, does this plan comply with the International Residential Code? 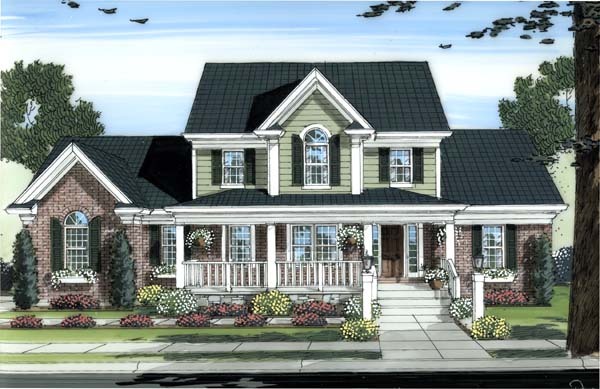 Question: Are there any different front elevation options? Answer: Thank you for inquiring about our plan. 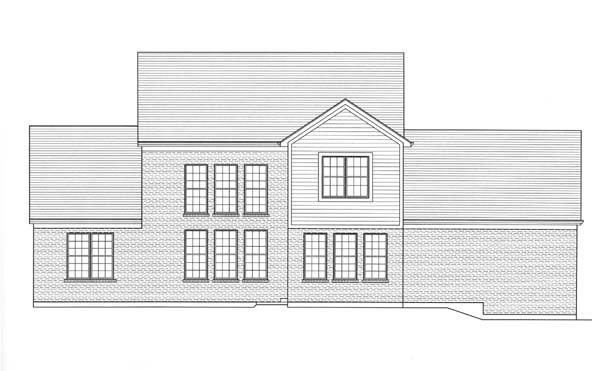 We do not have any different front elevation options for this house.